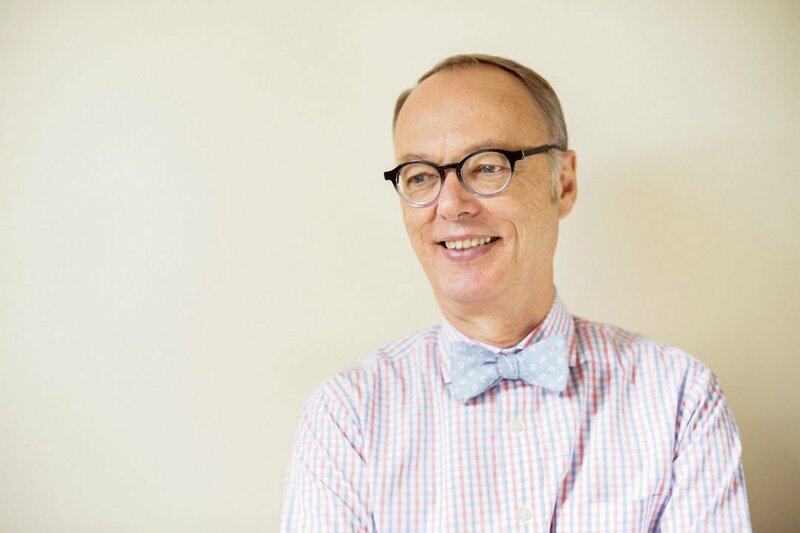 Christopher Kimball’s Milk Street Magazine. What's behind America's Test Kitchen's lawsuit? 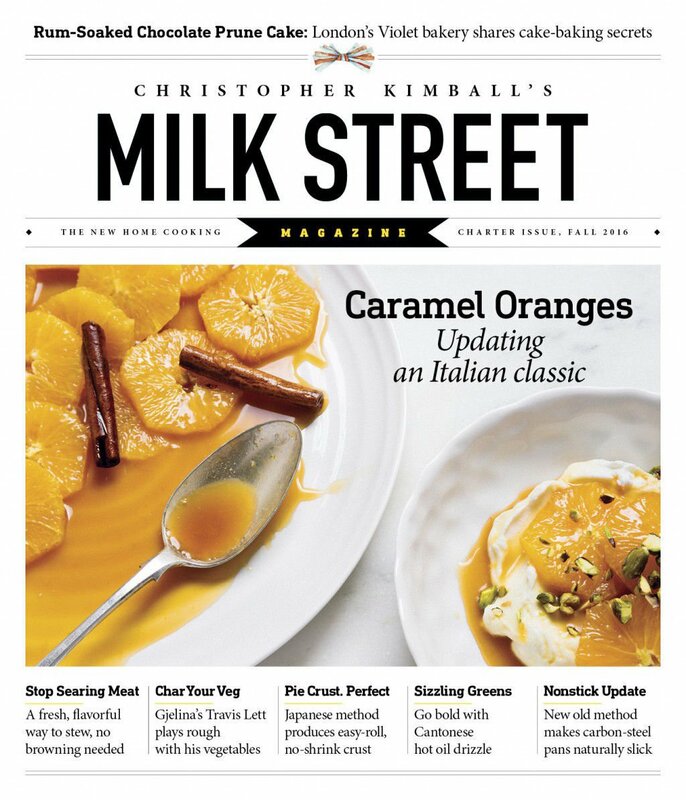 Milk Street, Christopher Kimball’s new magazine, has been on stands for just about three weeks, and it has already prompted a lawsuit from Kimball’s former employer, America’s Test Kitchen. On Oct. 31, America’s Test Kitchen (ATK) filed a complaint in Massachusetts’s Suffolk County Superior Court against Kimball and his new company. His co-defendants are his wife and former ATK employee, Melissa Baldino; Christine Gordon, Kimball’s former executive assistant at ATK; and Deborah Broide, who worked as a public relations consultant for ATK. The lawsuit claims that Kimball essentially stole company resources to create a competing venture, Milk Street, that, like ATK, includes radio, television and online presences. Both companies are based in the greater Boston area. “It’s more complex than a former employee going out and starting a new business,” Jack Bishop, ATK’s chief creative officer, said in an interview. That’s because Kimball, one of ATK’s founders, is still considered a partial owner. Among other things, ATK is seeking damages for Kimball’s “breach of fiduciary duties” from Kimball, and from the co-defendants for “aiding and abetting” him. It also seeks the return of a portion of Kimball’s 2015 salary, as well as part of Baldino’s, Gordon’s and Broide’s, since it accuses all of building Milk Street on ATK time. We’ve pored over the 39-page complaint, as well as emails attached to it. Here are some of the big take-aways. ATK alleges that Kimball used company resources and relationships to create his new endeavor. Among ATK’s allegations: that Kimball sought to capture the email addresses of readers; that Gordon misrepresented herself as doing business for ATK while searching for real estate for Milk Street; that Broide provided Kimball with media lists she had built while a consultant at ATK; and that Kimball tried to recruit current ATK staffers to work at Milk Street. According to the suit, even after Kimball was officially terminated as an employee of ATK in November 2015, he maintained an 8.59 percent partnership interest in the company. In addition to his responsibilities as an employee, his position as a part owner means Kimball violated his “fiduciary duty of utmost good faith and loyalty to ATK and his partners” in creating a competing business built on what he allegedly took from the company, the suit claims. Kimball’s work at ATK has been lucrative. According to the suit, in 2015, he was paid more than $1 million in salary and bonuses. But that doesn’t include his partnership distributions; so far this year that has totaled $772,000. According to the lawsuit, he has been paid more than $30 million in partnership distributions, which an ATK representative said began in 1995. The suit cites a variety of electronic communications sent and received by the defendants. Emails attached to the complaint include notes between Gordon and real estate brokers; between Kimball and an IT consultant covering such issues as how to store “hundreds” of recipes Kimball said he was scanning (which ATK alleges were stolen) and whether ATK would have access to his Gmail account (messages from that account are in fact included in the suit); between Broide and Kimball regarding the media lists; and between Gordon and the ATK help desk about whether company scanners would keep copies of documents she scanned. ATK’s radio and television shows are already being affected. In January, a new 26-episode season of “America’s Test Kitchen” (which the suit says is public television’s most-watched cooking show) will become available to stations, which have flexibility to air according to their own schedules. It will be the first season to not include Kimball as host; he’s being replaced by a duo of longtime on-air personalities, Julia Collin Davison and Bridget Lancaster. A similar transition will occur in the next season of “Cook’s Country,” which will be available starting in September 2017. The lawsuit alleges that Milk Street has already interfered with ATK’s television properties. It claims that Kimball and Baldino met with ATK’s production company before the pair left ATK; the production company is now working to produce Milk Street’s series and informed ATK that “it would be severing relations with ATK even though ATK expressed a strong desire to continue the contract,” the suit says. The suit alleges that Kimball also sought out PBS affiliate WGBH in Boston as Milk Street’s “presenting station,” meaning it would work to market the show, get stations to pick it up and ensure programmers schedule it at an optimal hour. ATK “was forced to change its presenting station for the 2017 season,” the suit says (it’s now Arlington-based WETA), because WGBH would otherwise be presenting three shows with Kimball as host, due to broadcasts of the current seasons and reruns. Milk Street is filming its first season, with a projected air date of fall 2017. Similarly, the suit alleges that Kimball’s actions on behalf of Milk Street’s radio program harmed ATK. It says that the distributor of ATK’s radio show decided not to renew its agreement with ATK, “concluding that Milk Street Radio competed directly with ATK Radio.” ATK also alleges that in November 2015, Kimball “orchestrated the bait and switch” by offering to produce ATK Radio through his new company—and ATK accepted “on assurances that Mr. Kimball had no plans to compete with ATK”—but then announced in April that he would cease production in six months. The last day of ATK Radio was Oct. 15, and Kimball’s new show debuted a week later. ATK has now forged a partnership with radio program “The Splendid Table,” which, beginning in 2017, will feature a weekly ATK segment. Similarities between Milk Street and Cook’s Illustrated magazines are too close for ATK’s comfort. The lawsuit also takes a detailed approach to comparing the two magazines. “In format, Milk Street Magazine runs 32 pages, the same page count of Cook’s Illustrated and Cook’s Country, which Mr. Kimball previously recognized as unique. It has no ads. It moves from a table of contents insert to a Page 1 ‘editor’s note’ letter . . . to recipe features to a Page 32 ‘Tools’ review, to a stylized back cover,” the suit says. “In design, Milk Street Magazine employs layout and font nearly identical to Cook’s Illustrated. “In content, Milk Street Magazine’s recipe section employs the same narrative arc of the Cook’s Illustrated case study approach,” the suit alleges, in which a problem is diagnosed and food science and subsequent recipe testing are used to address it. “We’re not an island” when it comes to recipe and food coverage, Bishop said in the interview, but he said the “unique” approach that the lawsuit accuses Kimball of usurping is what makes Milk Street much more uncomfortably similar to ATK than other publications and blogs. The conflict was apparently brewing long before Kimball officially left. The suit claims that in late August 2015, Kimball told other employees he had been fired and began trying to recruit colleagues to join his new venture. But according to the suit, by that point the board had offered to keep Kimball on at the same salary and bonuses, and it didn’t fire him until November, in part because of his alleged work to start Milk Street.